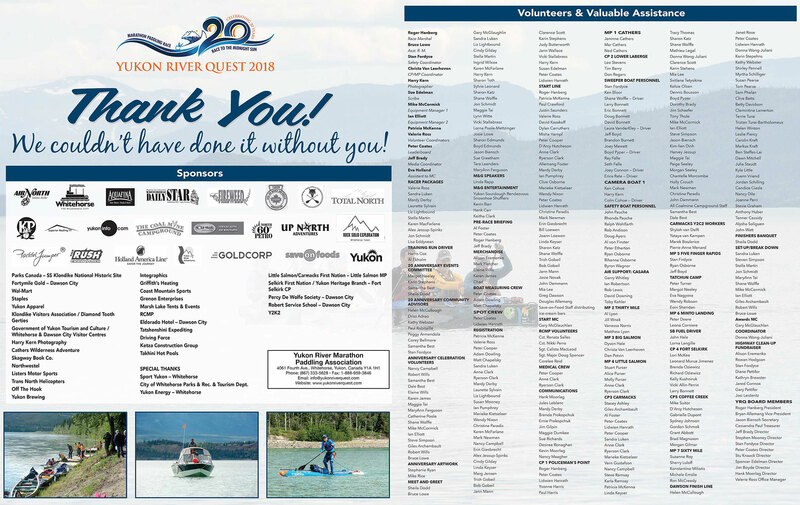 THANK YOU 20th Annual YRQ VOLUNTEERS! 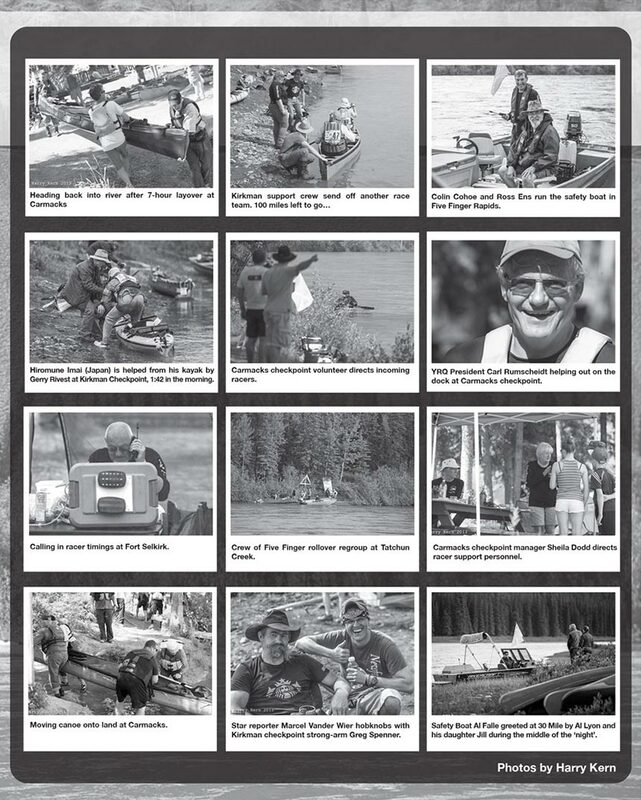 See our ad above from the July 27, 2018 Whitehorse Star! 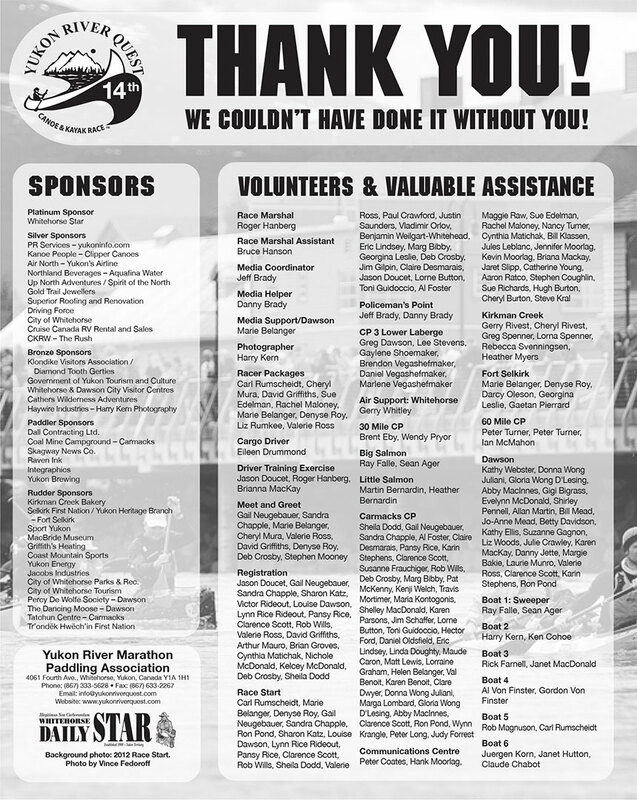 We apologize if we missed anyone in this ad. 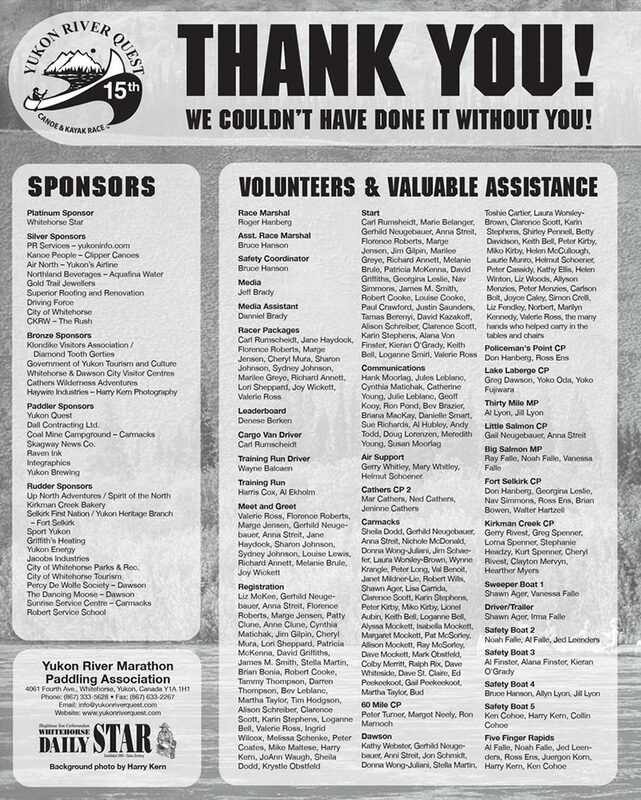 If you volunteered and do not see your name in the ad above, please contact us at yrqvolunteers@gmail.com and we will list you here. 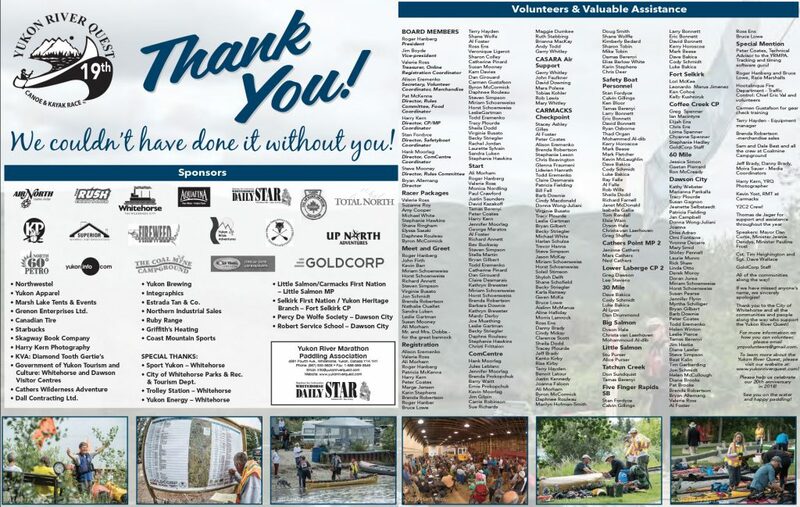 Thank you again for volunteering!!! 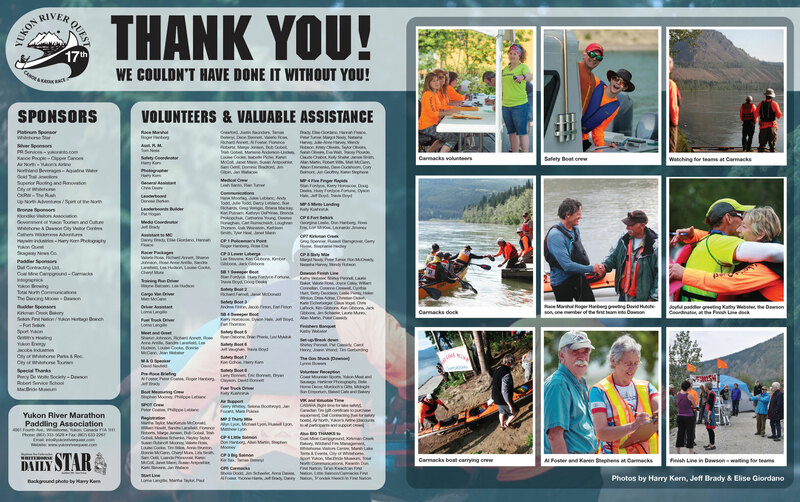 Volunteers are the lifeblood of the Yukon River Quest. 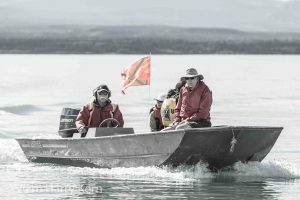 Without the people who give their time and energy each year, the race would not go on. The information below is for potential volunteers interested in getting in on the action, having lots of fun and helping us put on another great race! 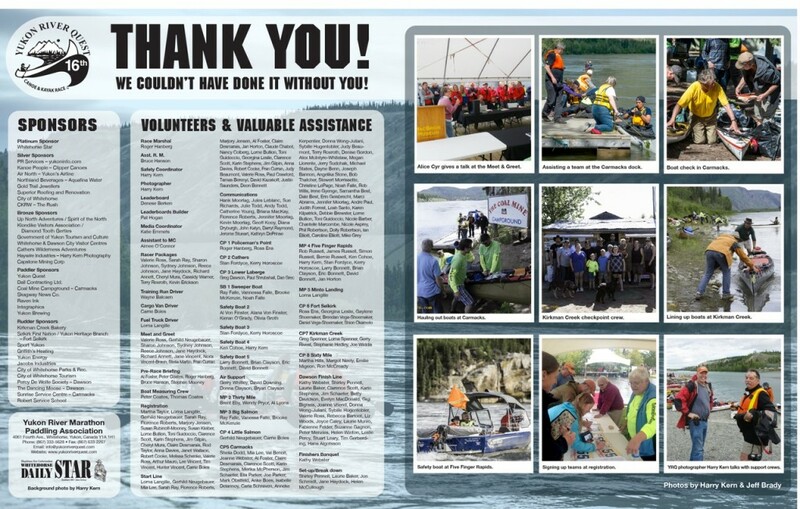 Thanks to these YRQ 2018 Coordinators!!! 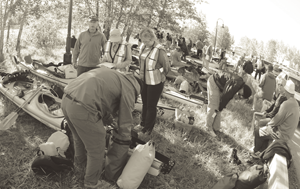 Can I volunteer before Race Week? Why yes! 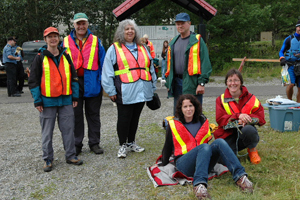 While most of the volunteer work is done just before and during the event, the YRQ board welcomes new members. We meet monthly year-round and more often closer to the race. 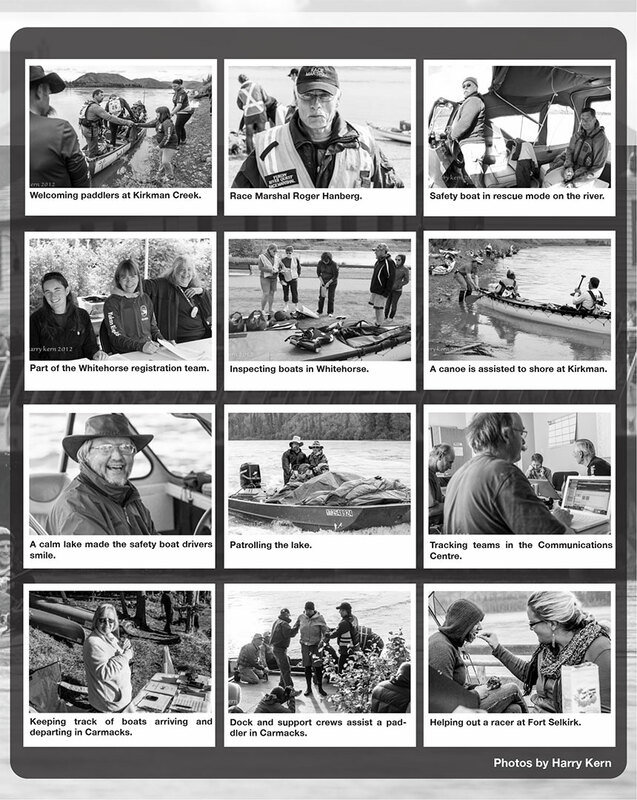 See Calendar by clicking here for upcoming meetings. 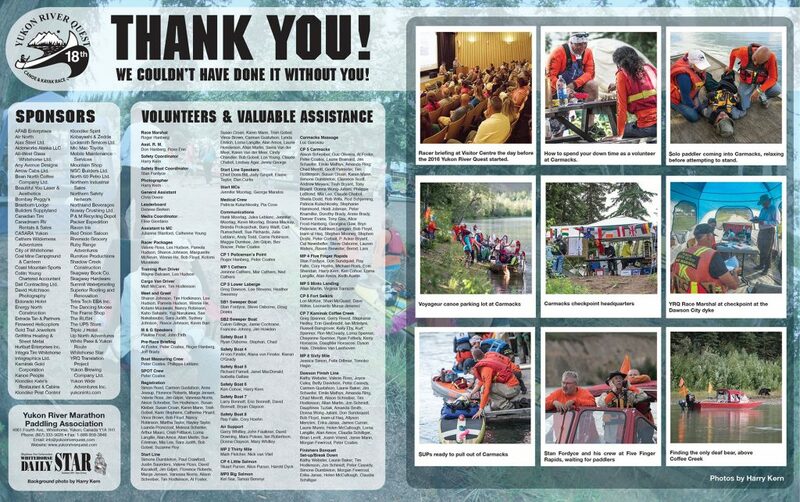 For at least 4 hours of volunteer time, you will receive a high quality official Yukon River Quest race shirt and recognition in our Thank You Ad in the Whitehorse Star. 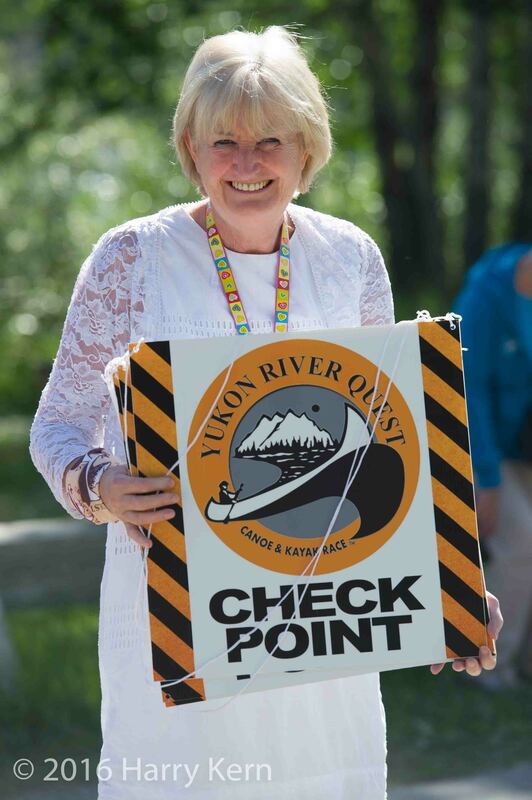 There’s also a great Volunteer Appreciation Party in Whitehorse after the race!